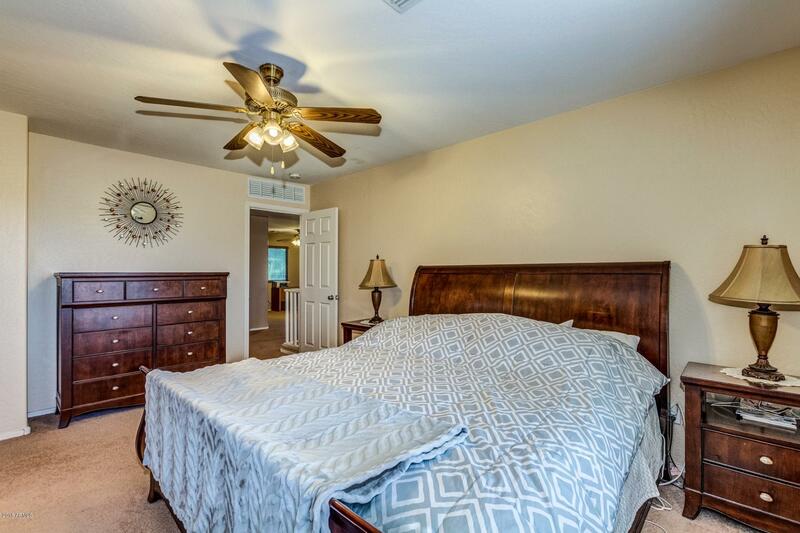 Your home sweet home has arrived! 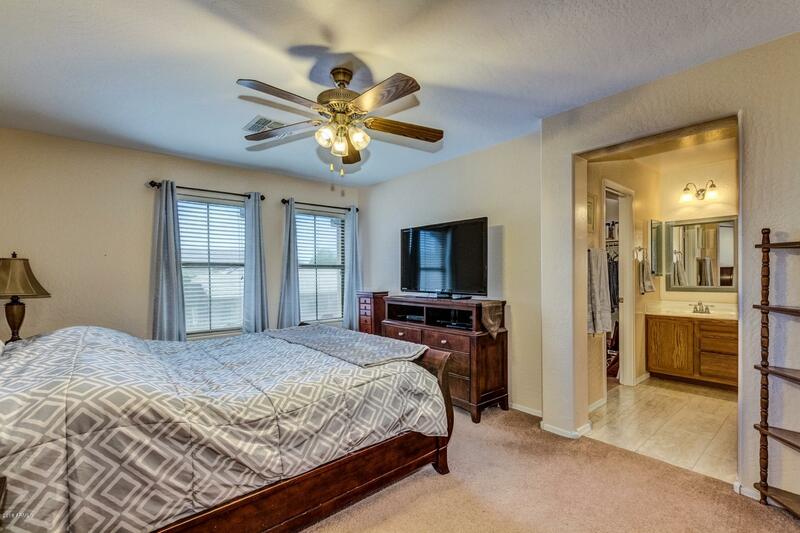 Perfectly located in the heart of the neighborhood and adjacent to community park with playground! 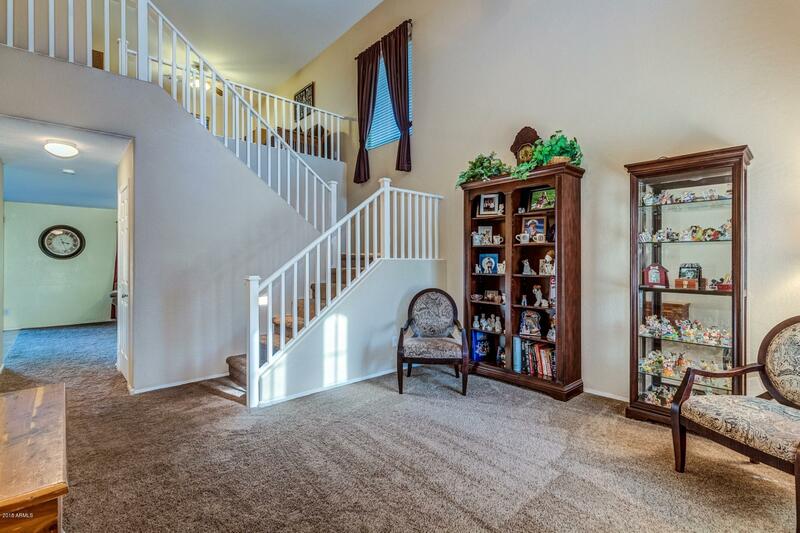 A warm and welcoming color palette greets you at the front door. 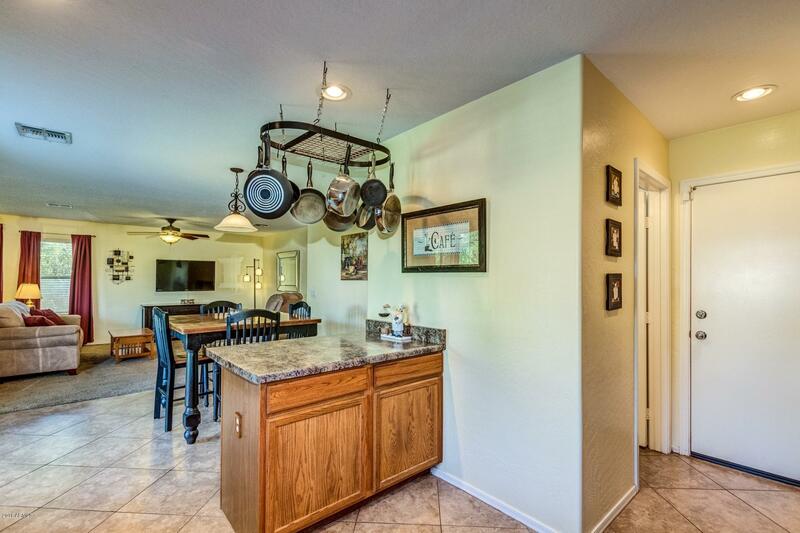 Great room leads to kitchen and is completed with a plethora of cabinets, ample counter space, and black appliances. 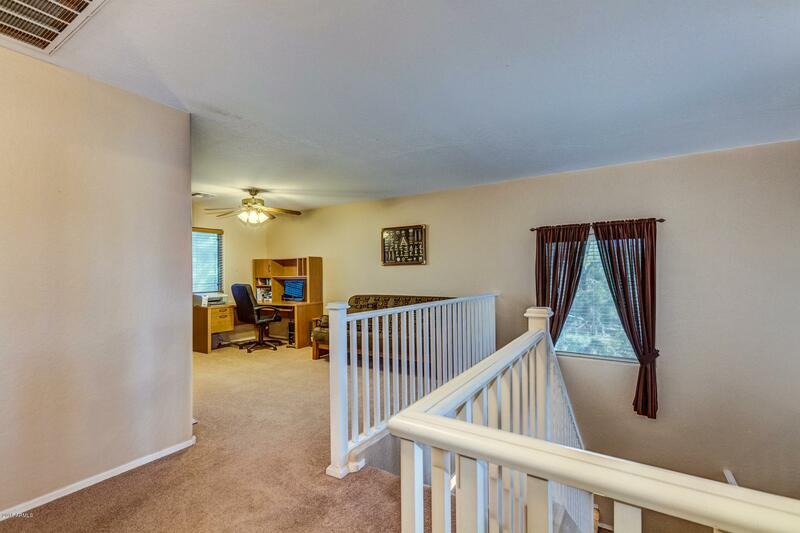 Large loft resides at top of stairs along with two guest rooms and a full guest bathroom. 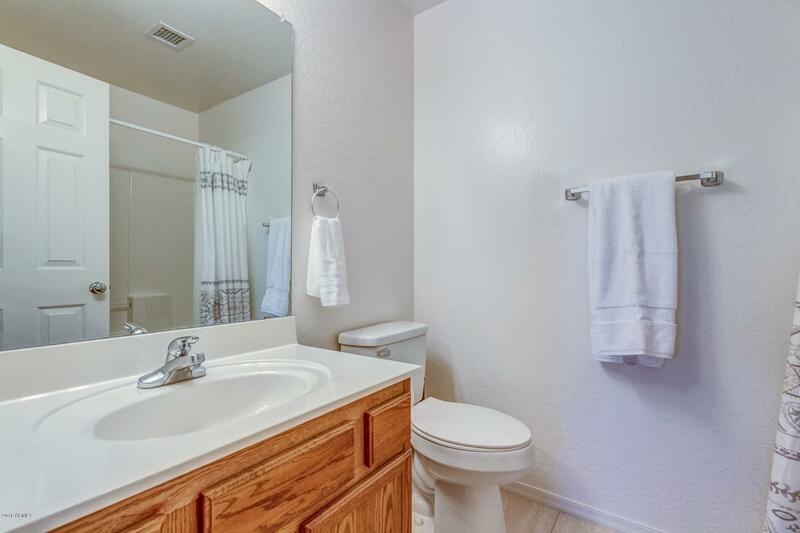 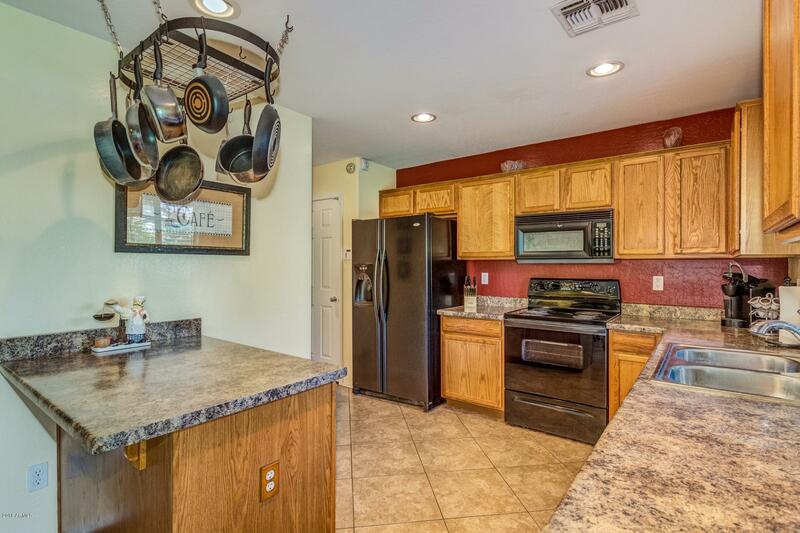 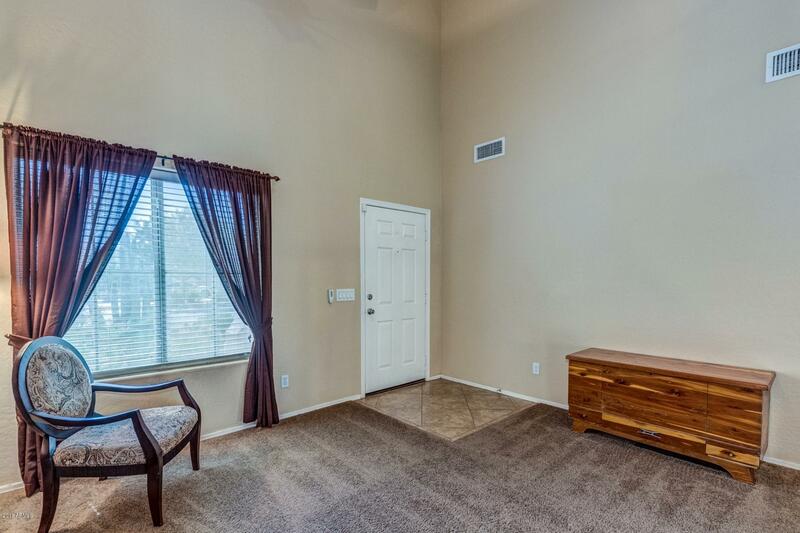 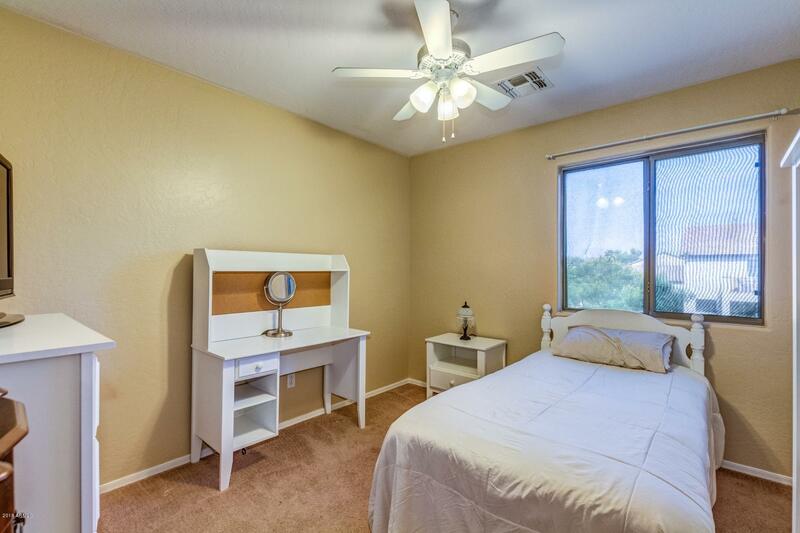 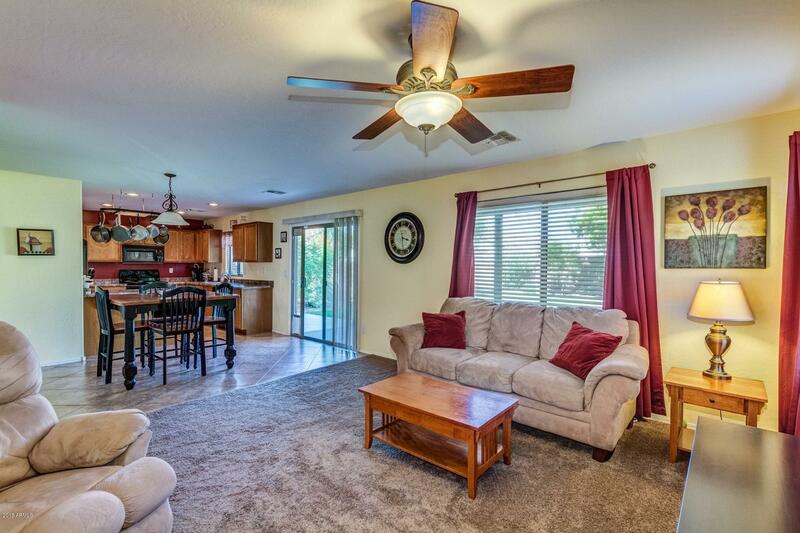 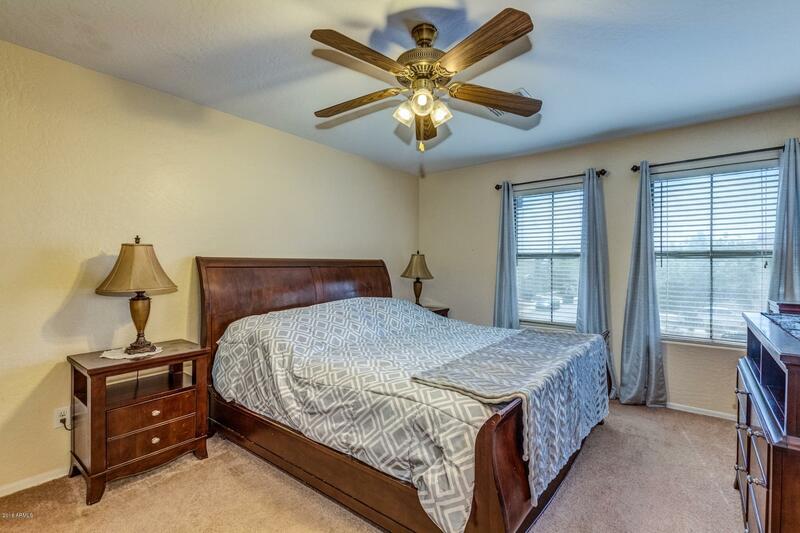 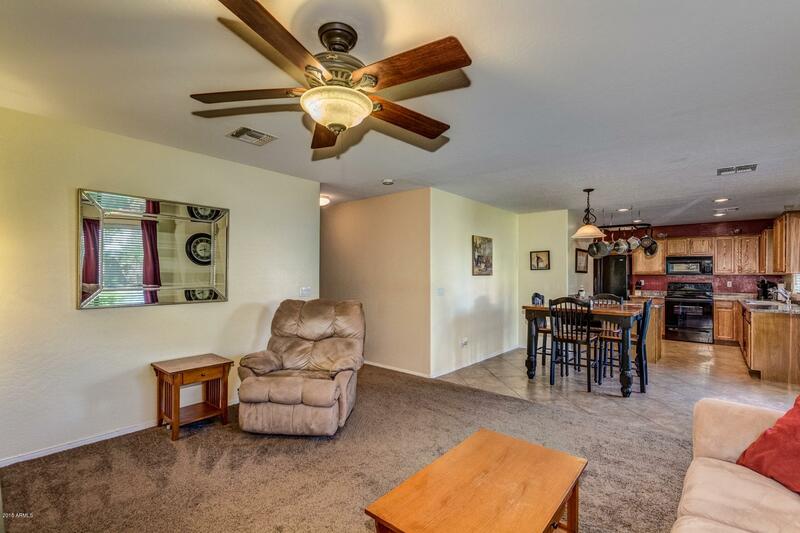 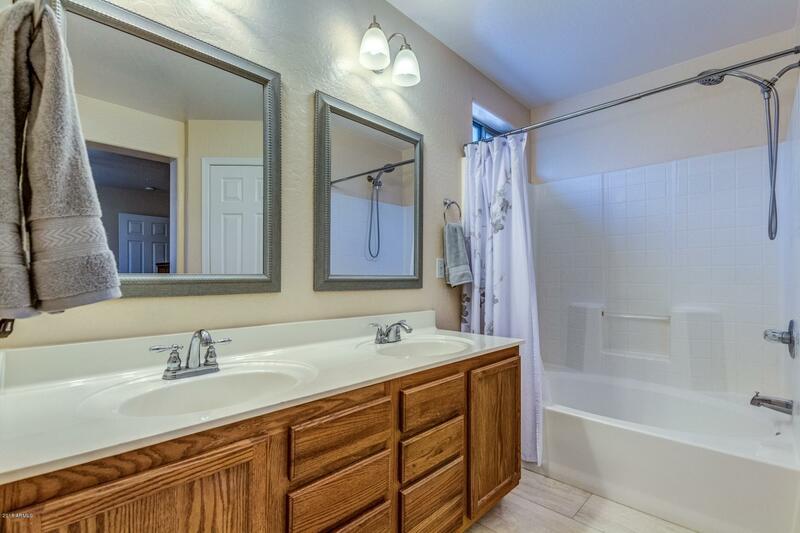 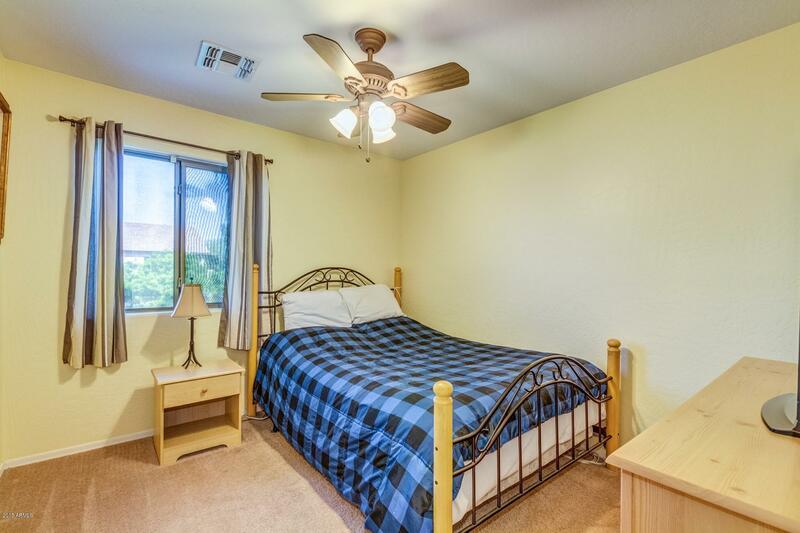 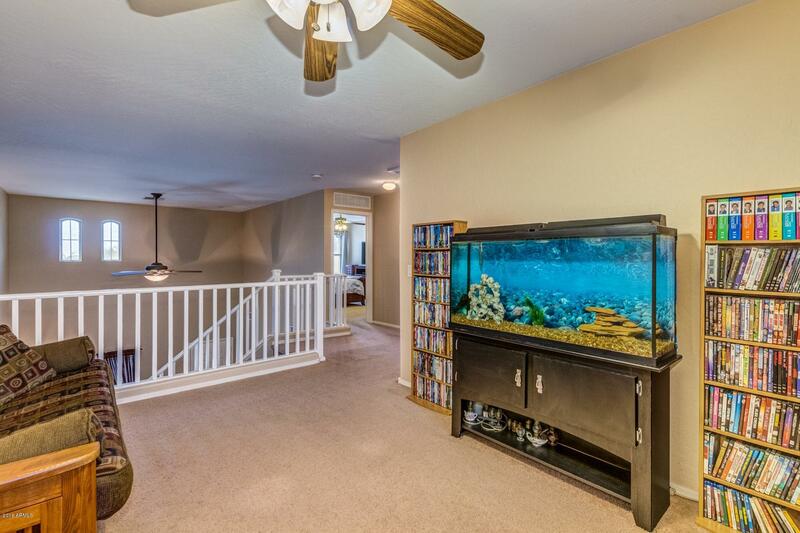 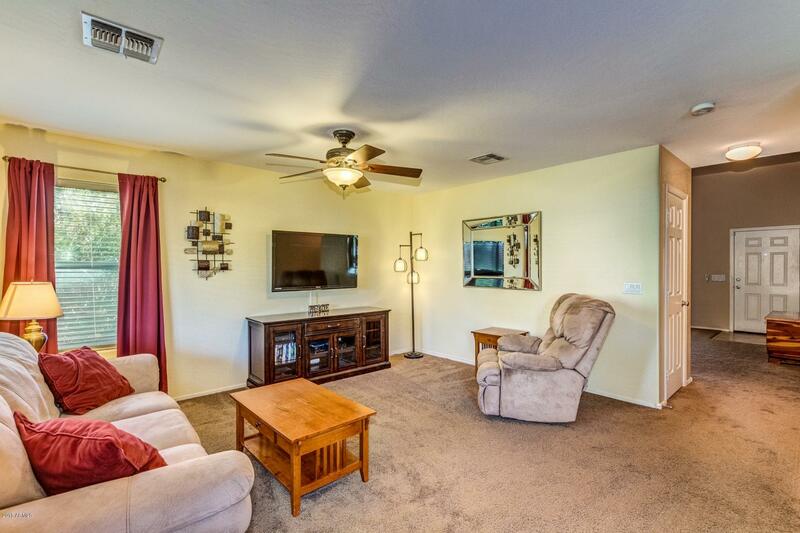 Master retreat has plush carpeting, ceiling fan, and picture window. 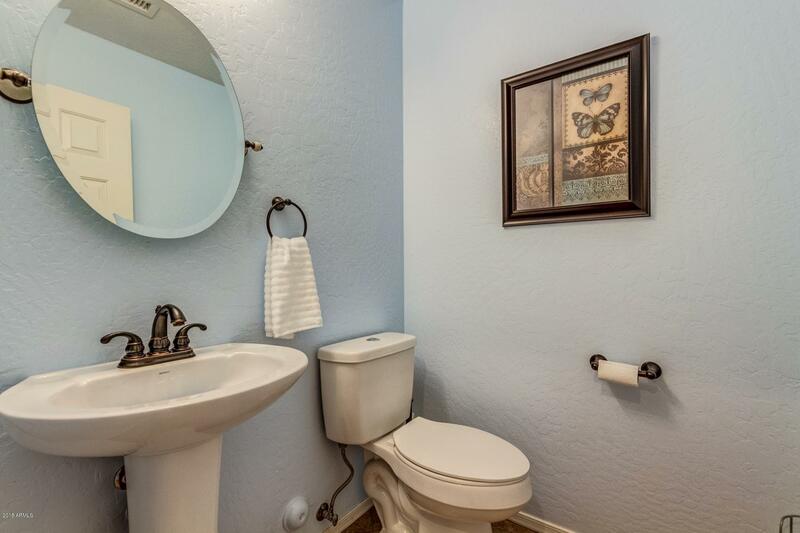 Full ensuite with dual sink vanity and a private toilet room. 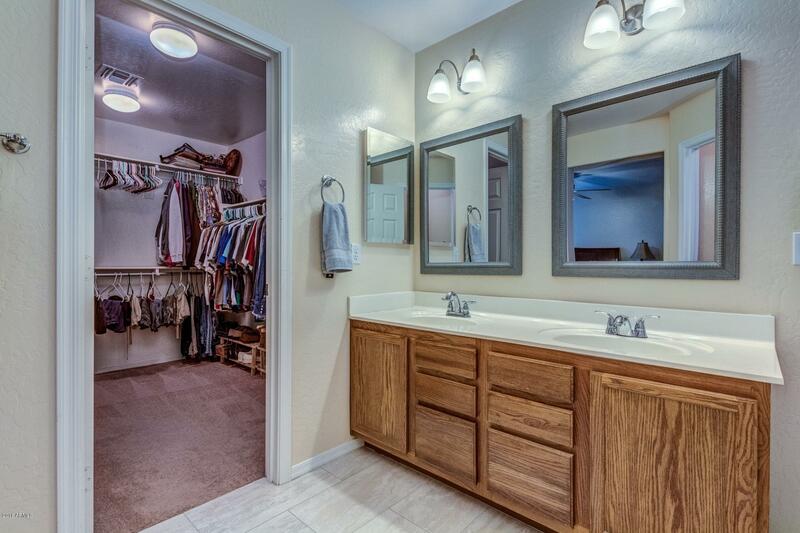 Spacious walk in closet! 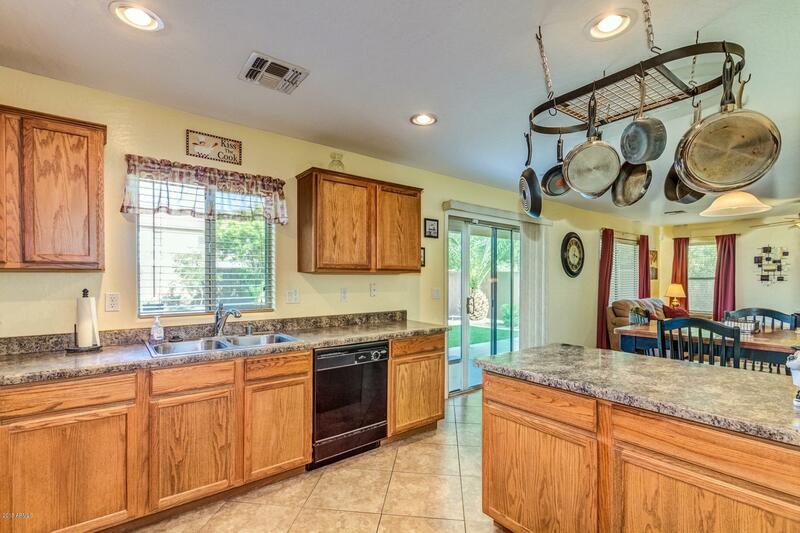 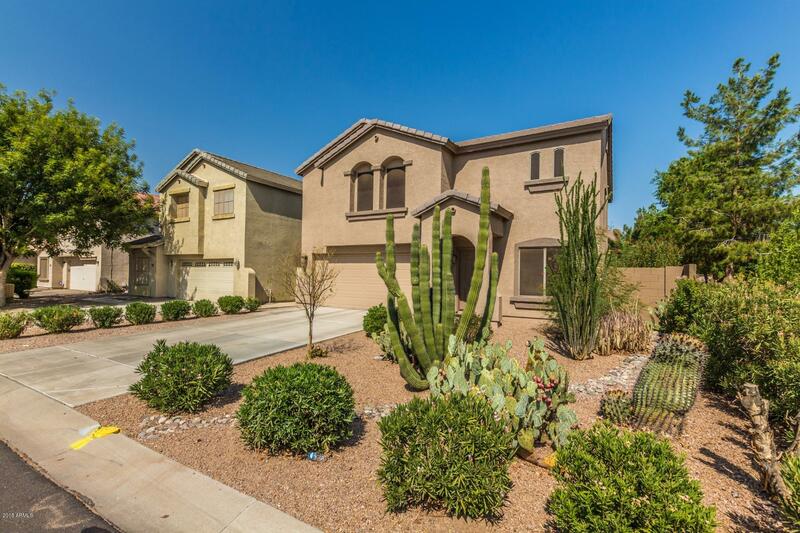 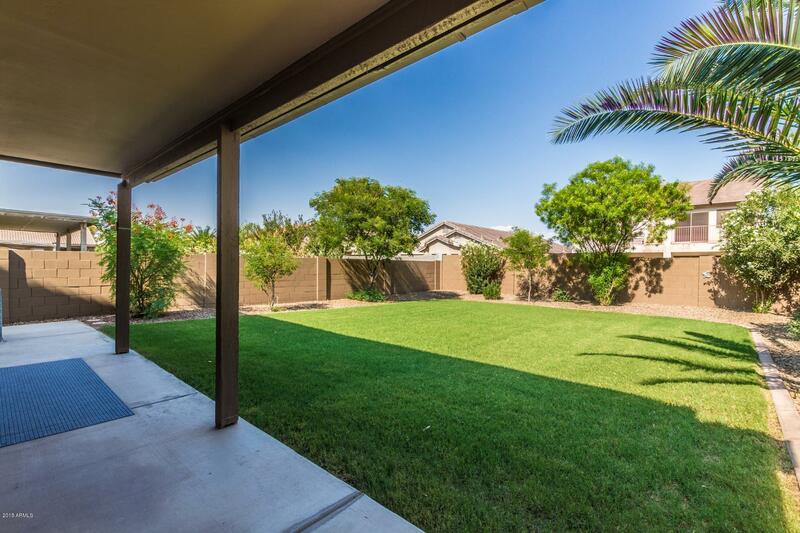 Backyard features lush green grass surrounded by desert landscaping and a covered patio perfect for dining alfresco! 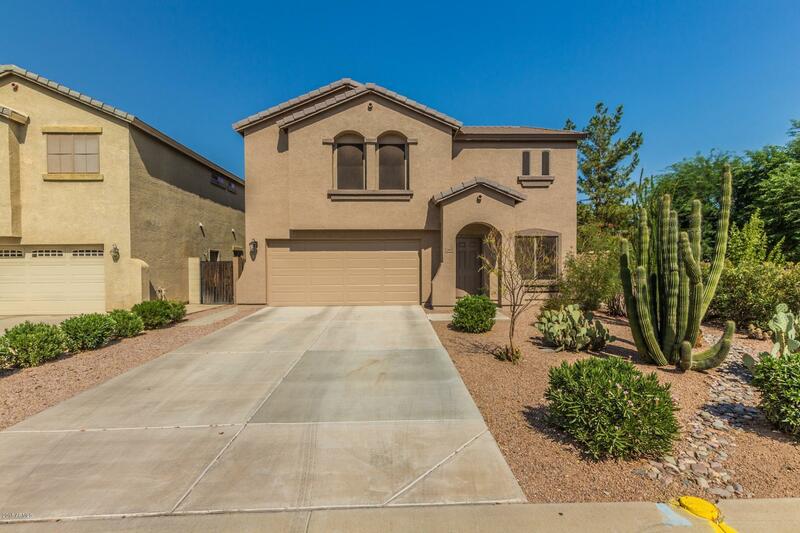 This home is sure to go fast, so come see it today!